WHAT IS THE MOST VALUABLE ADVICE THAT YOU CAN OFFER THIS GENERATION? 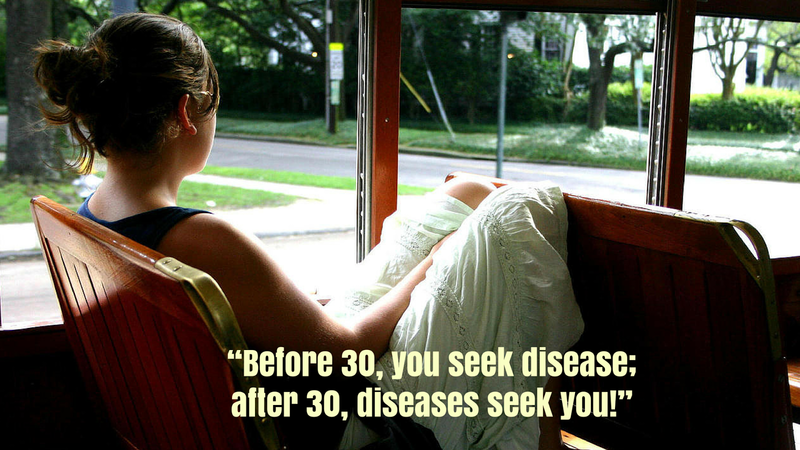 “Before 30, men seek disease; after 30, diseases seek men!” so goes a Chinese proverb. Now, let’s take a look at the ominous numbers below and see how fitting is this proverb for today’s young generation! With tangible economic improvements seen across the country, we are all dreaming that India is going to become a global super power in the next 20-25 years. But if this is achieved against the gloomy backdrop of poor health indicators listed above, it makes little sense especially when the youth in our country represents more than 65% of total population and they are seen as the prime donor to the country’s economic development. Ever since the dot-com boom, the lifestyle of the young population in India, especially the urban youths, has undergone a drastic change. The high disposable income has given them the freedom to lead an unhealthy, ill-disciplined, and rather awfully disoriented lifestyle. Sedentary work life coupled with inactive lifestyle choices and energy rich diet has no doubt wreaked havoc in our lives, and lifestyle diseases like hypertension, cardiac illness, diabetes, asthma, depression, and neurological problems have become increasingly common these days. Patients are becoming younger and younger!! There is considerable decrease in the age among the Indian patients when they are diagnosed. This rising trend has become a major concern for medical experts. Not many of us would be too comfortable with our nation getting the tag of “World’s Diabetes Capital.” Now there are studies that indicate the possibility of an Indian suffering from a lifestyle disease is 4% more than one of any other nationality. One in three of urban Indians is overweight or obese; 67% employees in Indian cities are victims of stress. All these alarming statistics suggest that health in our country has slowly but surely taken a backseat. It is increasingly becoming a daunting challenge to stay healthy; besides the inactive lifestyle, eating junk food and the addiction to alcohol & smoking are severely affecting our youths and making them more prone to the complications of lifestyle diseases. Diseases that used to show up around the age of 50 are setting in when you are in your 20s and 30s. Obesity increases your chance of developing other lifestyle diseases! According to World Health Statistics report, 11.1% of adult male population and 10.8% of female population have high fasting blood glucose levels in India. But nearly half of the people with diabetes are unaware of their disease. Most of these cases are type 2 diabetes. The earlier a person is diagnosed and management initiated, the better chances of preventing harmful and costly complications. In 2015 alone, diabetes has caused about one million deaths in India. Diabetics and obese people are more prone to develop chronic liver disease, which ultimately results in early death. According to the Global Atlas on cardiovascular disease prevention and control, 165.8 per 100,000 people died in India due to ischemic heart disease (a condition which is characterized by reduced blood supply of the heart muscle) whereas those who died from cerebrovascular diseases are about 116.4 per 100,000. 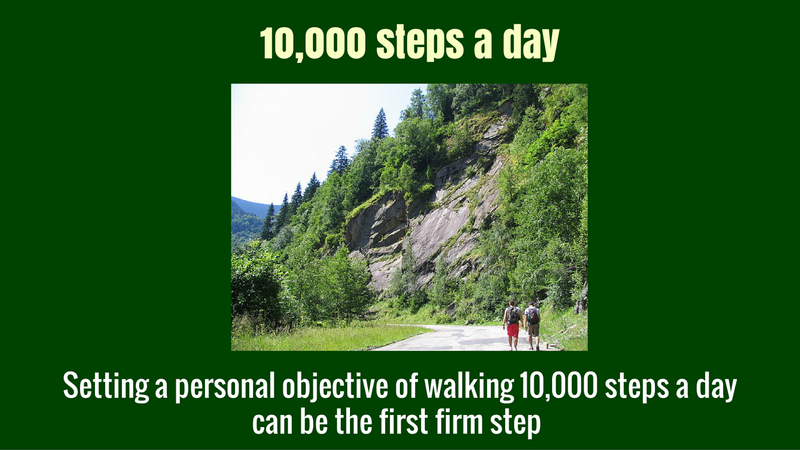 It will be an understatement if we were to say that physical activity has become zero in our everyday life. To reverse these disturbing statistics, we all need to realize the importance of the 3As (Attitude, Awareness, & Action). Our first obligation is to help a member of our own family before we think of helping others. Unless there is a collective effort from all quarters to increase awareness about the significance of physical activity, we will continue to see our children growing up more inclined towards a sedentary lifestyle. Today’s parents have much larger role to play in spreading the awareness on how to tackle these deadly diseases and guide their children to eat the right kind of food and engage them in physical activities. It's high time we encouraged our kids to participate more in outdoor activities. Avoid junk/oily food, quit smoking/consuming alcohol, and above all realize the health benefits of being physically active – these are simple and effective ways to minimize lifestyle ailments and must be adopted by people. End of the day, health needs to be an individual subject owned by each one of us for our own benefit.